How do I pay my parking ticket online? You can pay your parking ticket online through official payments here . For more information on other ways to pay your citation such as by mail or how to contest your citation visit our parking ticket page here. How do I pay my municipal citation online? You can pay tour municipal citation online here . For more information on other ways to pay your citation such as by mail or how to contest your citation visit our municipal citation page here . 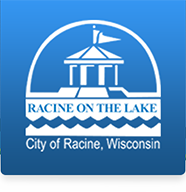 The Racine Police Department Records Bureau is responsible for maintaining and updating department records and files, such as incident and accident reports. Requests for Records reports must be made in person. Accident reports are available at the Police Department during normal business hours. Accident reports may take up to 10 days from the incident date to be available for release. There may be a fee involved with obtaining records. Please visit the Police Records Department page for more details. How can I apply for a City job? Select the City Jobs link and follow the instructions. Fax all requests to 262-636-9585. Can I use a portable outdoor fireplace? Outside fireplaces and cooking appliances are allowed within City Limits, as well as portable fireplaces PROVIDED they are used in a location not hazardous to life or property. The Fire Prevention Code requires any portable fireplace or cooking appliance be set back a minimum of 15 feet from any building. Please visit the Fire Department's web page here for further information. Does the City offer free smoke detectors? The Fire Department does have a limited supply of smoke detectors available but does NOT provide Carbon Monoxide detectors. Citizens can contact the Fire Prevention Bureau at (262) 635-7915 to request a smoke detector Monday through Friday from 7:30 am to 4:00 pm. Please visit the Fire Prevention Bureau's main page for more information. How do I qualify to be a firefighter? Minimum requirements for applicants include 60 college credits from any accredited college or university, a valid Driver's License, EMT-Basic and Firefighter Level I certifications, and successful completion of the CPAT physical abilities test. It should be noted that most of our successful applicants have training and education far beyond our minimum requirements. Please visit our main page at www.cityofracine.org/fire for more information. Why are Fire Engines at car accidents? Why do I have to pay for sewer? The water bill covers the cost of providing water service to your dwelling. The sewer bill covers the cost of treating and conveying the waste to the wastewater treatment plant. If you have an issue with the payment of your sewer charges please take it up with your landlord. If not, what can I do with it? Latex paint is not hazardous so it is not collected at a Household Hazardous waste Collection. You can purchase a drying chemical at any paint store and add it to your leftover paint and it will dry up. Then you can put it with your garbage and the solid waste department will collect it on your solid waste pickup day. There are several factors that may contribute to high water bills. Did you pay your last bill? A previous balance may be showing up on your bill. Did you use more water such as filling a swimming pool, or extra loads of laundry? Could your toilet be running because of a malfunction? Do you want an inspector to stop by? Please visit the Water Department's main page at www.cityofracine.org/water for more information.